From pre-cleaning to final packaging, all production steps are performed to the highest standards of purity in a certified Class 100 cleanroom. All parts are pre-cleaned in ultrasonic tanks, washed with hot 18-M/ohm DI water in ultrasonic cascade rinsers, dried in a HEPA drier, purged with high-purity nitrogen, and then sealed in plastic bags per customer specifications, preserving high-purity integrity. Electropolishing and passivation of process tanks and vessels (including very large sizes) greatly reduce the possibility of corrosion, facilitate sterilization, enhance product purity, and reduce galling and sticking in plating tanks. Electropolished heat exchangers demonstrate improved heat transfer efficiency. Alloy Tech also meets diverse purity requirements for WFI, vacuum chambers, autoclaves, valves, regulators, pipes, fittings, cryogenic equipment, and other components. Depending on specific industry applications, our technical team works with our customers to design the right combination of passivation techniques: electropolishing, chelant passivation, nitric acid passivation, phosphoric acid passivation, or acid pickling/Fluoride passivation. Alloy Tech performs electropolishing (ID/OD) of tubes for high-purity, semiconductor-grade applications, as well as for less critical processes. 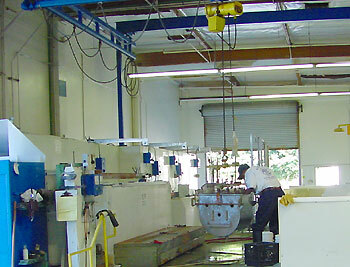 For vacuum and similar applications, we also offer degreasing and oxygen-clean finishing for tubes and pipes. Our tube lines accommodate all standard lengths, in diameters from 1/8” to 10”. 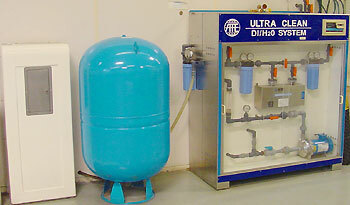 For high-purity applications, we regularly achieve single-digit Ra values. After electropolishing, tubes are swab dried, purged with high-purity nitrogen, capped, and packed per customer specifications. 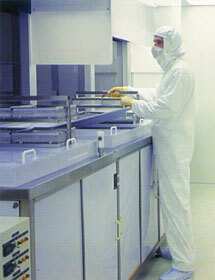 Class 100 cleanroom packaging is available for all tubes with diameters up to 1”.